It's Halloween kiddies, and since this blog is devoted to Star Wars gaming and Star Wars Costuming, I'd be remiss if I didn't devote today's blog to the half that I haven't talked about much lately. I'm currently sitting at work in my Jedi Knight outfit, since my office is very "festive friendly" today. It'll be interesting when I head to the Mall at lunch to get my weekly comics. I doubt I'll change out of it. I had intended to write a blog post about my plans for Darth Malgus. There's a nice gentleman in the prop-making community who's doing 3D printings of parts for my new favorite bald-headed Sith. He's already got a re-breather kit finished, and is working on the arms and legs now. He plans to produce the chest, shoulders, and biceps and offer it all in a kit. First round of production is planned for January. I was all over this. It was going to be tight, financially, because I also wanted to go to GenCon this coming year and get the Force and Destiny beta rulebook...oh, and hang out with the Gamer Nation, but you know where my loyalties lie. Sadly, I go some news today that put a shotgun blast to both of those plans. There's been a death in the family; well, at least within the household. My oil furnace. We thought it was a $200 replacement part to fix, but come to find out there was a fire in the furnace where there wasn't supposed to be, and it fried a lot of the wiring. It cannot be fixed, it must be replaced. My repair bill just became a $2000 replacement fee. I don't know where I'm going to find $2000; my credit is maxed and my savings are gone. But that $2000 eats up any thoughts I had for Malgus or GenCon. I can't justify either of them now. My annual bonus? Gone, right into the furnace (literally). My tax return? Now going to go to all the things I wanted my bonus to pay off so I could afford GenCon and Malgus. I'm in a right funk right now. But one step at a time, and my first priority right now is getting $2000 for the new furnace so I don't freeze in the wilds of New Hampshire. Oh, and if you could, kick Murphy in the balls for me when you see him next. It'd be a big help. Here's a post I started, in part, in May. I'd thought about publishing it then, but decided that it would make more sense to save and re-visit later in the year. More readers would have a chance to get the game I'm about to talk about, and would be of more use now. Back in April when I went to Reapercon 2013, I was blessed by GM Chris and GM Dave with one of the two prototype copies of Eons. I've had a blast playing this game (or perhaps a supernova...). Since then, I've obtained my actual production copy and have had more chances to play. The game is awesome. 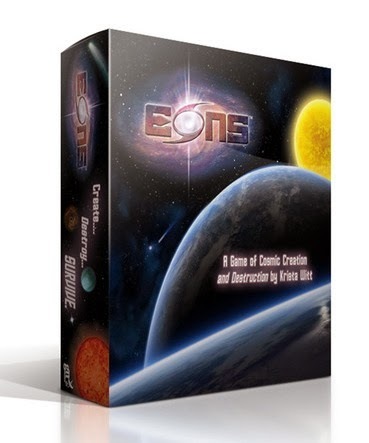 If you're looking for a resource management game with a touch of science where you play a god (er..."Cosmic Architect") then Eons is for you. So after listening to the wisdom and advice on creating campaign worlds in the Order 66 Podcast Episode 9; Go West Young Sam, it occurred to me that the building of star systems was sounding very similar to the building of your galaxy in Eons. I started bouncing around ideas, considering card interpretations, and came up with the following "extra-gaming" use for Eons. The idea is to take the stack of Eons playing cards and use them as inspiration for the details of a star system you're creating for a table-top RPG. 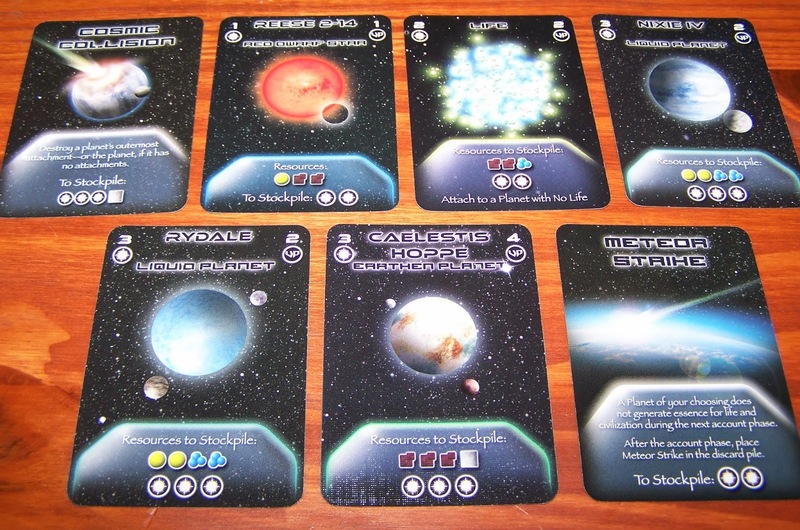 This is the simplest option for creating a planetary system for your game; deal yourself a standard Eons hand of seven cards, and lay them out in front of you. This method of system creation is good if your PCs decide to go off the rails and head off in another direction from where you planned. It's also good for a one-shot encounter if you can't come up with anything that session and need some ideas. Hopefully, you'll pull a star, a couple planets, and maybe some interesting Cosmic events. This method could result in a system of nothing but stars, or nothing but planets. Thankfully, science accounts for most of this. 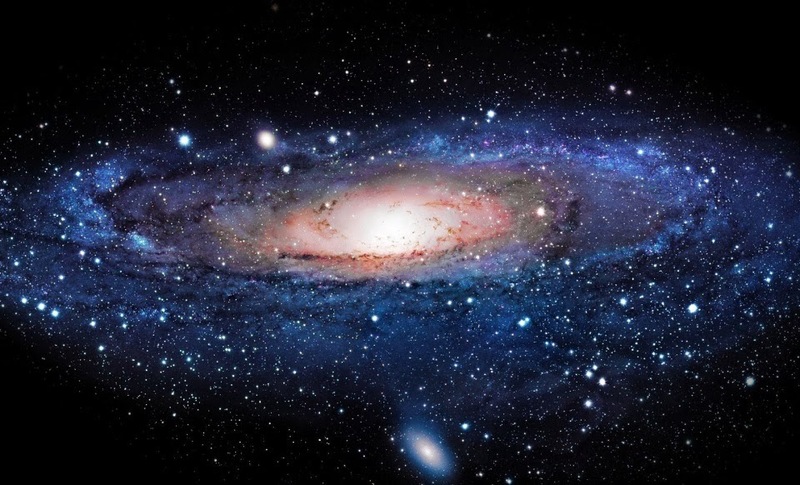 There are many multiple star systems in our own galaxy, why should the Star Wars galaxy be any different? Drawing a hand full of planets could be just as interesting. Perhaps a series of rogue planets are currently moving through the area. If you pull a "life" card in such a system, run with it. There could be exogorths in the system. Civilization could mean a space station, or a derelict battle fleet, or a pirate base. Lay out the cards with any stars drawn to the left, and any planets drawn to the right. Use Supernovas to remove stars from the hand, or simply discard them. Apply Life and Civilization cards to planets as desired. Come up with a name for the stars and planets, or use the names right on the card (I recommend at least making them more "Star Warsy"; apostrophes and hyphens abound). The next option is to take the entire stack of cards, and either select or randomly roll for the number of planets to be in the system. I recommend not using a ten-sided die for this. Using a 6 sided one would be better. To lower the odds of it being a 1 planet system, add 1 to 3 to the result of the roll. Now, start turning over cards until you have a card spread that contains the number of planets you rolled. This could take a while, and lead to some very interesting star systems with nebulae, black holes, and neutron stars in it. Use these navigational hazards to their fullest. Nebulae are easy to do, and the planet could even reside within it. Neutron Stars and Black holes make excellent locations for research facilities that may or may not have been turned into pirate bases or secret military installations. EDIT: An interesting side-note; as I was laying out the cards and explaining what I was doing to my wife, she stated that I was doing a tarot reading. I found it to be a rather crude analogy, but a strong enough one that I couldn't really refute her commentary. It's like that between us. Often. Regardless of how you decide to use the cards (or your significant other's observations), interpreting the draw is important to the layout of your Star System. Stars: These are the most basic cards to decode; it's the core star your planets (if you have any) orbit around. It's possible, and often likely, that you'll end up with multiple star cards. That's okay, you can either weed them out with any Supernovas you draw, toss them from the hand, or use them to represent binary, trinary and other multiple star systems. Planets: Odds are, if you're developing a star system you're going to want some planets of some sort in it. That's usually why the players are going to the star system in the first place. Eons has the four basic planet types; molten, gaseous, liquid, and earthen. As George Lucas has shown us, any one of these planet types can support life and civilization of some sort. Life: Either the planet has life on it or it's at least able to support life of some sort. Alternately, if you have a hand with no planets, Life could represent space-born creatures like Mynocks or the aforementioned exogorths (space slugs). It could also be for sentient gas clouds, living space mold clinging to asteroids, or any number of fantastical living beings. Civilization: Tons of options to use with this card. In the game Eons, you can't play Civilization without Life. In this use, Civilization is separated from Life. There are many instances of civilizations within the Star Wars universe that exist on planets without life. On such planets, Civilization represents protected shelters, colony worlds, sprawling domes cities protecting the inhabitants from the harsh environment of the planet. It represents massive hovering cities in the atmosphere of gas giants, or floating platforms on seas of toxic, but valuable liquids. Even molten planets work, with element-enriched mining facilities on molten lakes of fire and lava. One could argue that places like Nar Shadda and Coruscant are earthen planets with Civilization, but no Life, simply because the entire world is urbanized. In a system without planets, Civilization represents asteroid bases and space stations. Nebulae, Neutron Stars, and Black Holes: Small and Large nebulae breath interesting life into any star system. You could have planets in the system orbit through the nebulae, and come up with the effects such an orbit has on the planet. Stretch your creative muscles. It might simply disrupt communications and travel to and from the world, but it could also interrupt life; requiring the residents to remain in enclosed cities while the planet is within the Nebulae. This usually means something is valuable enough on the world to make such inconveniences worthwhile. Neutron Stars and Black Holes represent much more lethal navigational hazards. Even with Star Wars science, it's hard to come up with a reason one of these would be in a star system. Most likely they're at the edge of one, and their unique properties affects life and travel in the system. As mentioned above, these stellar phenomena make great subjects of study, attracting scientific and military installations to them. Meteor Strike and Cosmic Collisions: Now we start getting into cards that are not stellar bodies, but galactic events. These two cards effect change upon planets, and drawing them should do the same to the bodies within the star system. Meteor Strikes can be a few things; one is literal, a meteor has hit a planet. That means that the meteor likely came from somewhere nearby, and perhaps there is a ring around the planet in question. Multiple Meteor Strikes in your hand could mean a full blown asteroid belt lies in the system. Another interpretation is that it's not a meteor strike, but a meteor cloud that the planet passes through from time to time, much like our own. Or a comet in the system that orbits the star and passes by the planets in the system. Cosmic Collisions are planetary altering events. 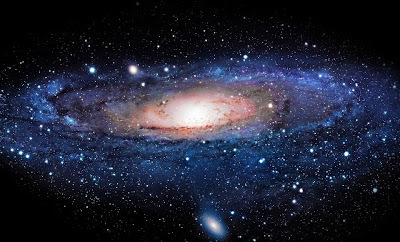 Used literally, it can signify an event that either ended life on a planet or possibly civilization. It doesn't have to be an extinction-causing asteroid, though. It could be something more artificial, or man-made. Maybe a brutal war occurred and destroyed much of the population. Maybe a period of tectonic instability (natural or artificial) altered the planet. Or a huge cruiser accidentally hit the planet at lightspeed. Or orbital bombardment from a fleet of ships devastated much of the surface. Supernova: This one is very similar to the previous set of cards, but affects stars (and really, the entire star system). If your hand has a lot of stars, you can simply start using Supernovas to remove stars from the system on a one-to-one basis. Maybe the Supernova represents a Star evolving from one type to another (from Yellow Dwarf to Red Supergiant, for instance), obliterating worlds in the process. Could be why the system has no planets, if you didn't draw any. The death of a star in a multi-star system could really shake things up, and bathe the area in cosmic rays and high radiation for millennia to come. Taken one step further towards the abstract; maybe the system altering event wasn't the death of a star, but something else. Could have been an invasion. Or the rise of a Dark Side cult on one of the planets, subjugating the system's populace. Anything that alters something within the system as a whole could be represented with a Supernova card. Okay, so I got a Red Dwarf star (there's a joke in there somewhere...), two Liquid Planets, one Earthen Planet, Life, Cosmic Collision, and Meteor Strike. Not bad! The star is easy, we've got a red star that has three planets orbiting it. You can ignore the Eons game rule that limits how many planets a type of star can support. I'll place the first Liquid planet near the star, and have it be a planet of liquid toxic chemicals with a higher boiling point than water. Hot, steamy, and lethal to most living beings in the galaxy. Next I'll place the earthen planet, and the second Liquid planet will be farther out. I could say that the Life card is tied to the Earthen planet, or the second Liquid planet, but I think I'm going to be a little more abstract and say that Life will apply to the system, not just one specific planet there in. Both of those planets will support life. With a cosmic collision and a meteor strike card in the hand, I'm going to say there's an asteroid belt in the system, too. Let's place it between the first and second planet. The "planetary altering event" is usually something bad, but in this case I think I'll have it be something positive; a sudden tourist trade to the system. The name of the Star on the card is Reese 2-14. Going with some "L33+ Sp34k" and dropping some letters, we'll call this the Reezla System.With two planets capable of supporting life, but no civilization to speak of, we'll consider this a newly found or under developed colony planet. The corporation that found the system wanted to colonize it, or at least tap into it's resources found on Nixev (the first Liquid planet), but found it to be too expensive and dangerous. Perhaps it's too far off the space lanes for someone other than a major corporation to undertake. In the mean time, some of the creatures on the second planet Cael's Hope (Earthen Planet) are vicious predators and attract the elite hunters of the galaxy. The more temperate liquid planet Rydel has abundant sea life, great for sport fishing. The Reezla system has few minerals for corporations to exploit for profit, but another company has started to cash in on the offerings of the system. A tourist company has tapped into the potential for the sport hunting and fishing market and offers exclusive "Big Game Cruises". Guests travel aboard a Mon Calamari cruiser to the Reezla system (the actual tourist cruisers, not the ones the Rebel Alliance put guns on). This cruise departs from a nearby system, where the wealthy tourists enjoy several days in hyperspace gambling, dancing, and partying before arriving in the Reezla system. The cruiser, being made by the amphibious Mon Calamari, is able to set down on Rydel's oceans. Guests on the ship are able to enjoy a few days at sea while smaller sea skimmers take sport fishermen out to catch "the big one". Then its on to Cael's Hope, where posh shuttles transport hunters down to the planet to a specially designed base-camp, and go on safari for the most dangerous creatures around over several days. Daytime hunts are followed by lavish bonfire parties in the base camp compound, protected by a specially designed perimeter fence and armed guards. I came up with all this in less than 10 minutes. A system that's just aching to be used in a campaign or episodic one-shot. For all the crazy details Game Masters have to come up with, sometimes it's nice to have some help in crafting the galaxy the characters are living in. In less than 2-3 minutes, a GM with a copy of Eons can come up with some pretty interesting details about a star system the PCs encounter while going "off the rails". Or with 10-15 minutes, the GM can get some ideas and breathe life into a new star system, just waiting for pcs to explore. Eons; crafting galaxies across the gaming cosmos, one system at a time. Want a copy of Eons? Order it from Gamer Nation Studios, or check with your friendly local gaming store to get a copy! Even if you don't use it for this, it's an AWESOME game! Joy of wondrous joys! I can blog from my work computer again! No longer am I stuck with XP and IE 6...or 7. Or whatever dinosaur I was saddled with. Now I'm on IE 9 and can actually type things in this field on my Blogger page. Hopefully this will go a long way to getting back on track with my weekly updates. This week marked the start of my "Wild Cards" campaign. 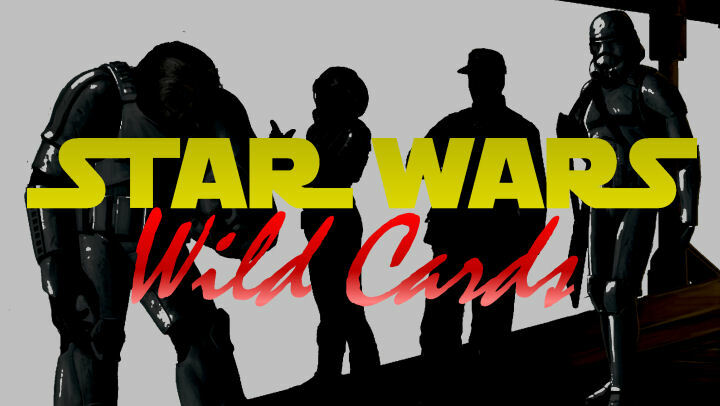 The first pc group in my multi-party "Another Longshot" game, the Wild Cards mixes Star Wars with "The A-Team". I'm planning on it being more episodic than over-arching. There will be sub-plots that carry from one game to the next, like clearing their names and getting revenge on the Sith that set them up for war crimes. For the most part, however, the group will be getting together every other Tuesday night over G+/Roll20 for a couple hours, and kicking around the Edge of the Empire in small, 2-3 session adventures. It wouldn't be a Star Wars game, or any sci-fi space opera game really, without "The Ship". This game is no different. The backstory is that the Wild Cards stole a military ship to escape their stockade, but traded it in to a contact one of the PCs knows to get something less conspicuous (or traceable). Fiddleback selected and recommended a ship from one of my favorite sources; Star Wars Gamer issue #2. 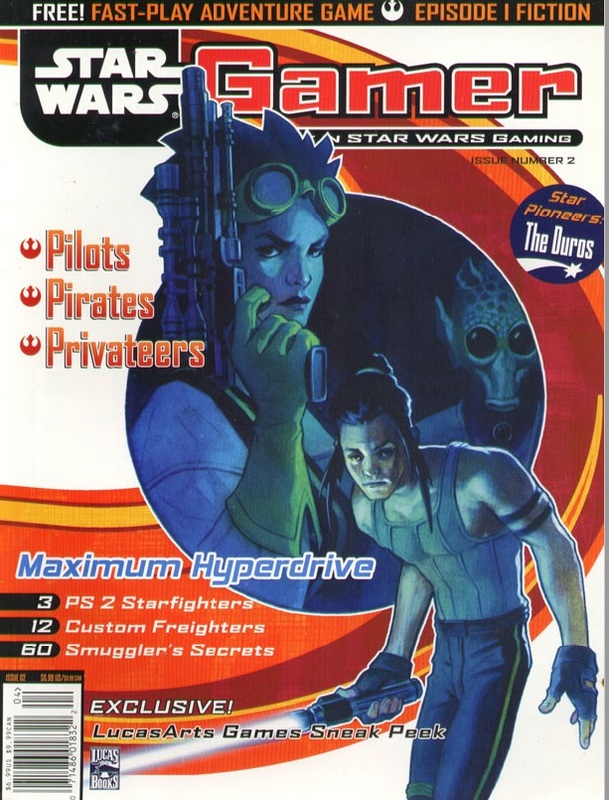 That particular magazine was the second issue of the old WotC-printed, Dragon Magazine equivalent for their d20 Star Wars game. The article was called "A Legacy of Starships" by Owen KC Stephens with art by Jeff Carlisle. It gave write ups and stats for ten different and never before seen Corellian Engineering Corporation freighters, from eras just before the Prequel Movies to well after the latest novels. This particular craft Fiddy selected was the YV-929 Armed Freighter. Top of the line during the end of the Galactic Civil War, 130 years later the ship is a relic and an antique. The thing is a brick; great armor and shields for a transport, with a solid cargo hold. It boasts some pretty significant armament too; triple-blasters, concussion missiles, ion cannon turrets, and oddly enough two light turbolaser cannons. 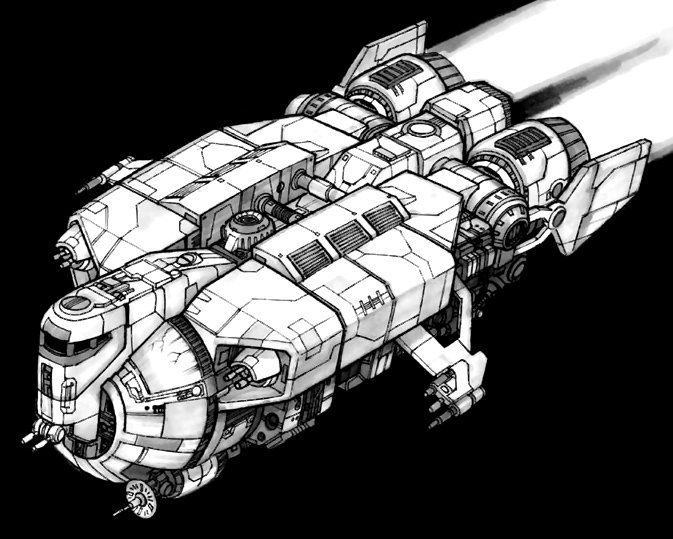 This was of particular note because turbolasers have always been the realm of frigate-sized capital ships and higher, in just about every iteration of the game. They were light turbolasers, for sure, and would merely threaten a capital ship for a moment or two, but against a similarly sized transport the turbolasers would pound it to scrap in short order. This was back during the OCR days (Original Core Rulebook). Since then the game updated to Revised Core, and Saga Edition. The 929 didn't make an appearance in Saga, but the starship construction stats made it pretty clear that you can't mount turbolasers on your average Space Transport. Several months back, the ship appeared in the Equipment Labs series of articles on the GSA Website. Agent 35 did a good job pulling the ship over to FFG stats, and included all of its unusual armament. These were the stats that Fiddleback showed me during the game on Tuesday. I was all over it, but then I noticed in my copy of the Age of Rebellion sourcebook that the YV-929 is fully and officially statted out! Some of the stats were better than Agent 35's, like sensors, handling and shields. Some were worse, like customization hardpoints and the armament. The number of missile tubes were decreased, and the turbolasers were removed entirely. My conundrum is to stick with the official FFG stats, or the ones from Star Wars Gamer? Most of the official stats are just fine, and I had no issues with those. I'm a little put off by there being only one Customization Hardpoint, but the ship is pretty well tricked out on its own. The lack of Turbolasers takes away a pretty flavorful, and potent, feature of the starship. I can see why FFG removed it, it sets a really bad precedence for mounting anti-capital ship guns on a PC's craft. Everyone would be doing it, and things would get real interesting in the galaxy with all these ships mounting serious military hardware. The big reason the turbolasers were so nasty in d20 was the multiplier. Vehicle weapons did more damage than personal weapons, usually to the effect of doubling the damage rolled. Capital scale weapons, like the turbolasers, multiplied that by five. So even if the damage you're rolling is low, in this case 3d10, you're quintupling the number rolled. That's an average of 5.5 per die rolled, 16.5 on a 3 die total for an average of 85 damage per successful hit. Considering that an X-Wing's laser cannons average 66 damage (6d10x2 damage), that's not that much more damage. Even maxed out the light lurbolaser only deals 25% more damage than the X-Wing's quad laser blast. Both will still paste enemy fighters that lack shields, and two solid hits will clear everything else. Turbolasers in FFG are just as nasty, but on a different level. X-Wing lasers deal 6 damage, in a galaxy where TIEs can only take 6 damage before being blown apart. Sure, they have an Armor rating of 2, but X-Wing guns have "Linked 3", which means the attacker can spend two Advantage to trigger another hit on the target, up to 3 times. Two 6 point hits will paste a TIE. They also have a range of "Close", meaning the fighters need to move in to be able to hit each other. 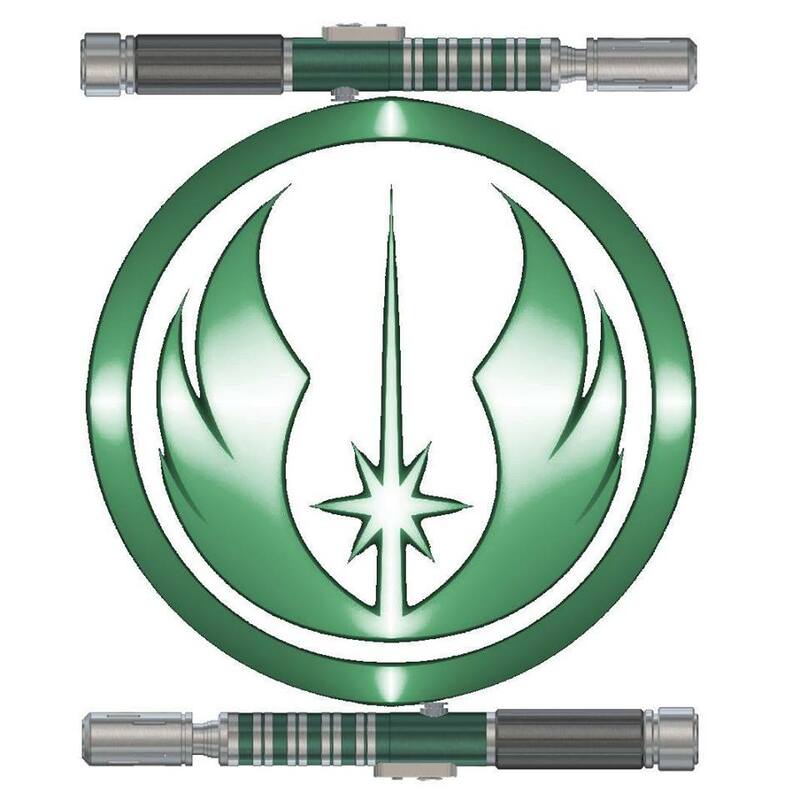 Light Turbolasers have a base damage of 9, one more than a proton torpedo. They have Breach 2, meaning they ignore 2 points of Armor with each hit. They do have "Slow-Firing 1", which relegates the cannons to every-other-round attacks. But the big thing they have is a Medium Range. They can start laying in on enemies from quite a fair distance away, even farther away than proton torpedoes and concussion missiles. What kind of damage could PCs do with turbolaser cannons? 5 hits would take out a Bulk Transport. A YT-1300 like the Millennium Falcon would be pasted in 3. Even Corellian Corvettes and Marauder Corvettes are threatened, to a degree. It's not like the PCs would be in an unstoppable battle-tank, though. The YV-929 has good shields, and good armor, but it's not impervious. The single customization hardpoint also limits the upgrades that can be undertaken. It can't increase its armor or shields. If it does decide to go up against a Corellian Corvette, it'll get two shots off before the Corvette responds with potentially four of its own (two light, and two medium turbolasers). Aside from the turbolasers, the YV-929's weapons are decent, but limited. The triple blasters are awfully light, potentially not even breaching the Armor on some enemy craft. The Ion turret is slightly better. It carries missiles, sure, but with a limit of 10 per launcher they need to be rationed, especially if the players can't resupply too often. I'm tempted to say that the turbolasers are in, but it comes at a cost of the one customization hard point. I'm also tempted to just give the players the turbolasers and try it, see if it becomes a problem. I could always take them away with a well timed Despair result on their part, or a Triumph on the part of an attacker. I could replace them with some beefed up Heavy Laser cannons. I've got choices, and time will tell how it turns out. Worrying about the game balance of imaginary weaponry; I'm such a nerd. Talk about your blog hiatus. I’m still here, still plugging along. I’ve got some other writing on my plate right now that is taking up a lot of my time. Nothing as interesting or mysterious as what Fiddleback is working on, but at least I’m writing for a couple games again. The first is my Order 65 campaign. The heroes are hot on the trail of a mysterious clone captain who was witness to the assassination of Chancellor Amidala twenty years ago, that General Kenobi, Skywalker, Dooku, and Sepratist Marshal Qui-Gon Jinn were all at. The heroes found that someone secretly recorded a meeting between two clone officers after the attack. Reports were that the Separatist shuttle was shot down over the Judland Wastes, but someone saw something rocket away from the stricken craft before it crashed. Possibly via jetpack? It’s been a fun campaign, writing my own Alternate Universe to the Saga. I am looking forward to bringing it to a close. I doubt I’ll get there by the end of the year, especially with the conflict of schedules. Maybe wrapped up by the Summer of 2014. We’ll have to see. In the meantime, I’ve finally assembled a group of PCs to try out my A-Team inspired campaign. It will be one of the few campaigns in the “Another Longshot” multi-campaign, dubbed “The Wild Cards”. In 130 ABY, a crack commando unit was sent to prison by a military court for a crime they didn’t commit. These soldiers promptly escaped from a maximum security stockade to the Outer Rim Territories. Today, still wanted by the Empire, they survive as soldiers of fortune. If you have a problem, if no one else can help, and if you can find them, maybe you can hire the Wild Cards. The game is set in the “Edge of the Empire” (Legacy Era), but most of the PCs are using Careers from Age of Rebellion. Since the theme is “ex-military”, most PCs found better fits with those careers and specializations. The game is actually going to be a weeknight game, run bi-weekly like my old Brothers in Arms campaign. The main difference is that this is going to be entirely on-line, via Roll20. Dangerous to put my faith entirely in technology, but with circumstances what they are it’s the only way I can make this work. On the podcasting front, I’m without-show for a little while. Without going into details, my partner in podcasting who handled the whole tech aspects of the show will be unable to participate for the foreseeable future. This throws an immediate monkeywrench into some plans, and a larger one into others. Hopefully, everything can get straightened out in our lives and we can get All Wings Report In back on track for 2014. In the realm of the other main topic of my blog, costuming, there’s been a lot of change happening in the Rebel Legion and 501st Legion. Staying away from politics, my tenure as the XO of Alderaan Base came to an end on October 1st. No harm, no foul; my CO decided to not run again this year and has moved into the XO position herself. I’m the new Base Membership Officer, which basically means I help review and approve costumes on a local level, and help out the local members with costume guidance and direction. There’s a second reason I was fine with this move, but that won’t become apparent for a little while. Perhaps five to six months or so. I’ll keep you all posted.